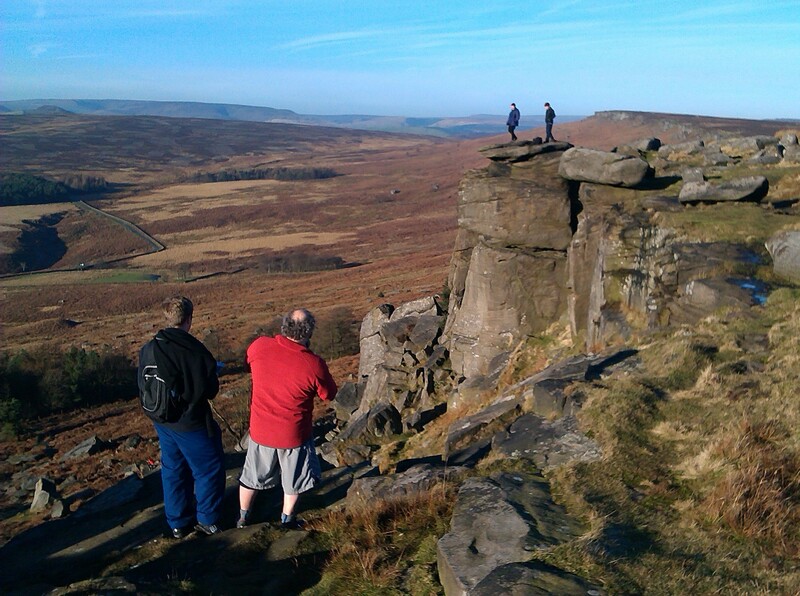 Over the last few years several customers have booked a personal walking guide with us in the Peak District with the request that they wanted to be taken to Keira Knightley’s Rock so that they can have their photograph taken standing on it. What they are referring to of course is a particular rock on Stanage Edge on the eastern side of the Dark Peak where actress Keira Knightley stood in an iconic shot in the 2005 film version of Pride and Prejudice when she took the leading role playing Elizabeth Bennett. This photo was taken a couple of weeks ago one one of our guided walks with a family who were keen to see the famous rock.